Looking for concrete block construction? Well this one fits the bill! Great floor plan too! Step into nice tiled foyer that keeps going into the hall & great room which is plenty big for nice sectional couch to relax and watch TV! There is a formal dining room as well as breakfast nook so plenty of space for family gatherings. Kitchen has food prep island and 2 pantry closets! Window overlooks backyard to keep an eye on little ones while Mom makes dinner! Sunroom offers second living area or seller uses as a home gym! Downstairs also offers half bath and a bonus room with barn door (no closet) but great kids playroom or home office. Upstairs has Master bedroom w/walk-in closet & en suite bath w/sep tub & shower, 2 bedrooms, hall bath & another bonus room w/closet. See supplement. 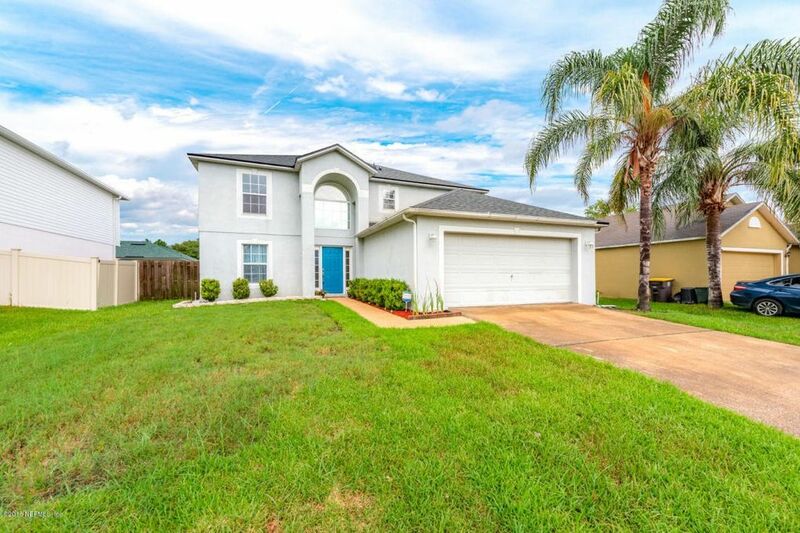 Seller is also offering - carpet allowance - estimate on file, can be replaced once house is vacant and just prior to closing & after loan approval or can apply to buyer's closing costs/prepaids. Dishwasher is on the blink, so seller is also offering a $500 allowance for replacement - would like to pay BCC/PPs in lieu of actual replacement this way Buyer can select what they want closing. One year home warranty - 2-10 $540. Directions: From Collins Rd, north on Rampart Rd. T/L on Grey Fox Ln, T/R on High Bluff Rd, becomes High Bluff Rd N, t/r on Prosperity Park Rd E, t/l on Edenfield Park Rd, home on right.